Open Daily: 10 am to 6 pm (Monday - Sunday), the third week of July thru the end of October. 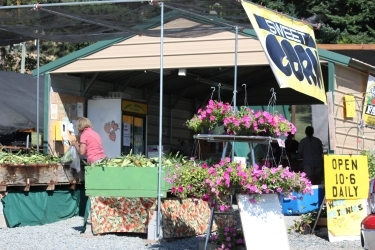 Right at the heart of the farm is our Farm Stand Market that is conveniently overlooking all of the fields. Farm workers start picking as early as 5:30 am and stock the stand full of locally grown goodness daily. You will see coolers and tables and crates and wagons full of freshly picked vegetables, and sweet corn. 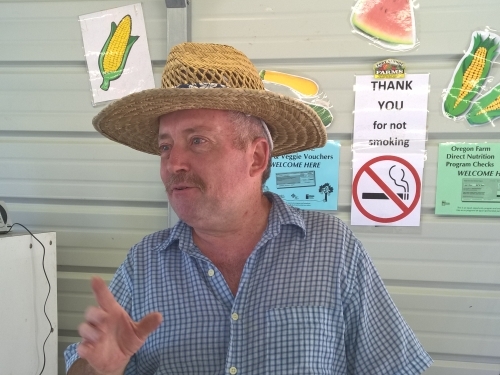 If you come to the stand and we are out of a particular item or you would like to purchase some of our fresh vegetables and berries in large quantities, let us know what you need and we can tell you when to expect availability. Fort Vannoy Farms is growing 15 acres of Sweet Corn. We are proud of our reputation for having the Sweetest Corn around. We have even shipped our corn after an early morning picking to some of our customers' relatives in the East, so they could "taste what real sweet corn is all about!" 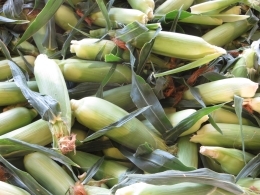 July 30th marks the date our Sweet Corn is ready to be sold, so mark your calendar. There are 27 acres currently planted with an amazing variety of vegetables, melons, winter and summer squash, sweet peppers, hot peppers, cucumbers and much more. Everything from Asparagus to Zucchini! As one crop goes out of season there are many others that replace it. 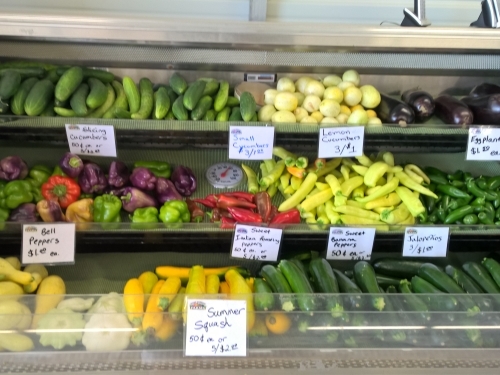 We invite you to come to the Farm Stand and buy throughout each growing season and try to purchase every letter of the alphabet in farm fresh produce! 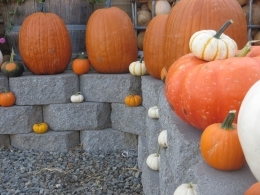 The farm stand also offers bushels of decorating ideas for your home for the celebrations that season all of our lives throughout the year. 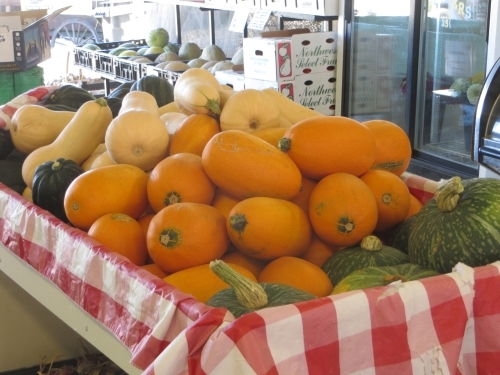 You can find corn stalks, funny lumpy gourds, pumpkins, Indian corn, and many other harvest time treasures to take home with you. Buy locally and support your community farmer. You will taste the difference! It brings me great pleasure to live and work with Fort Vannoy Farms in the gardens. It is our local community and the people we grow food for that makes the farming lifestyle such a joy. Our gardens are diverse and provide excellent food for many families year after year. Be sure to say hello when you visit the Farm Stand. 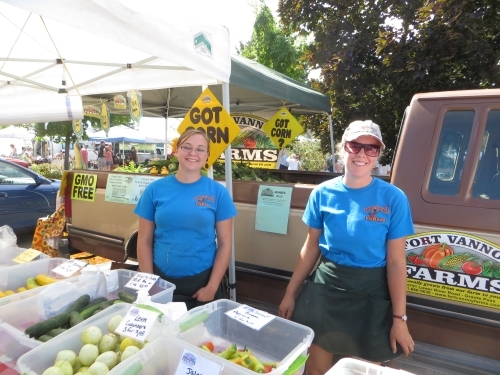 When you visit Fort Vannoy Farm Stand, you will see the real farm in action! There will be tractors moving, discing, tilling, and turning soil, Big Gun Sprinklers watering, Farm Workers picking and planting, and even the plants will be growing. You will also notice over time the affect the seasons have on agricultural practices at Fort Vannoy Farms. 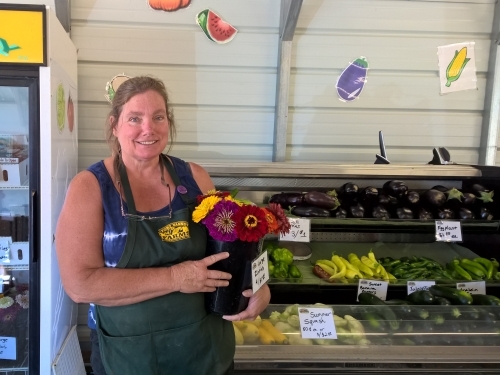 Growing great food for our customers in the Rogue Valley is important us. 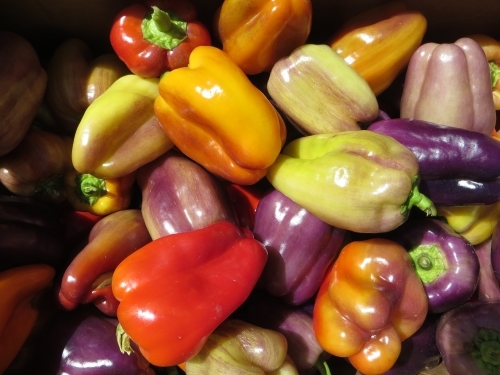 We strive to bring you the best tasting food at the peak of ripeness from the Fort Vannoy Gardens. 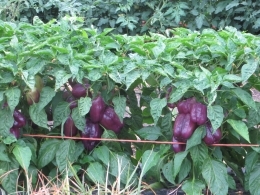 Providing excellent quality for the home kitchen canners, for backyard BBQ's, and vine ripened produce throughout the growing season is our priority.